Tags: Analog recording technology, Audio mixing equipment. 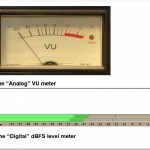 There has been a lot of debate whether analog summing mixes sound better than the digital summing. 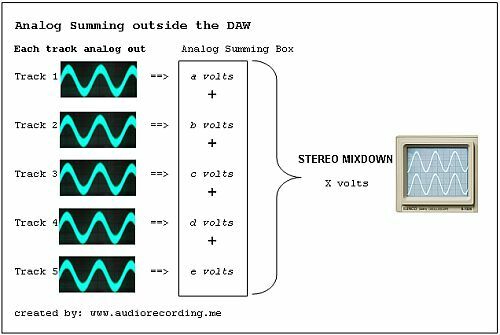 This tutorial would serve as an introductory tutorial for beginners in knowing what an analog summing mixer is. This will not prove whether analog summing mixes sound better than digital or recommend that you switch to analog summing for all of your mixes. How does it differ from Digital Summing? Let’s start with a more familiar digital summing. This is done inside your computer and using your DAW software such as Reaper, Protools, Cubase, etc. 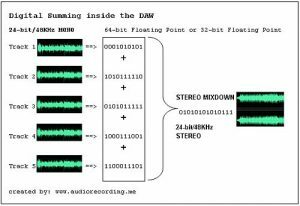 In digital summing, binary bits (0’s and 1’s) also known as digital data of every track in your mix are added to produce a stereo “mixdown”. These processes are done “mathematically” inside your DAW that employs complex binary arithmetic or floating point calculation to carry out the operation. Older DAW uses 32-bit floating point while modern DAW are adopting to 64-bit floating point calculation that improves the “accuracy” of the calculation. 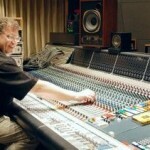 The computation that is going on inside your DAW during the stereo mix down process is a complicated one as it also involves a lot plug-in calculations such as reverb, EQ, compression, etc. 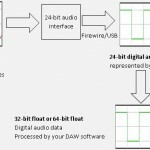 In this article on advantages of 64-bit DAW over 32-bit float digital audio workstation, it reveals that even a 64-bit DAW involves rounding off and estimation of calculation results. These errors however are extremely small compared to using a 32-bit bit floating point calculation. 1.) Bit-depth and sample rate – the higher the values, the more accurate would be the digital waveform representation of analog signals. 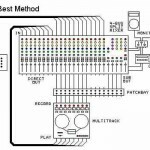 Read this pulse code modulation tutorial for details. 2.) 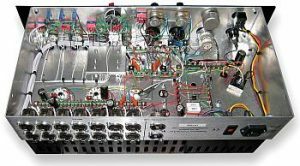 The quality of your analog to digital converters – bear in mind that the source audio is analog and being converted to digital during the recording process. The quality of converters can play a great role in having a perfect/high-fidelity digital capture. Quality converters are often found in professional audio interface and not in consumer-grade soundcards. 3.) The digital resolution of your DAW (available in 64-bit floating point, 32-bit floating point, 48-bit fix point, etc). In analog world, there are no 0’s and 1’s but only voltages. These are complex sinusoidal voltages that include the harmonics and other elements. Many engineers consider this to add the “warm”, “in-depth” and nice separation sound you get from analog. In the above screenshot, the input to an analog summing device is analog voltage (also known as analog audio). 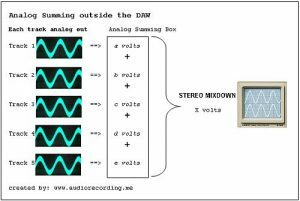 If you use an oscilloscope to view these analog audio signals, it would be sinusoidal in nature and the amplitudes are now in voltages and not in dBFS (digital dB). Each track that would be rendered for analog mix down is summed in the summing device and their voltages are added. While DAW (digital summing) relies on binary math and floating point calculation to do the mixdown, analog summing relies entirely on electronic circuits to do the job. There is no math involved. Inside the analog summing device, the entire signals are in analog domain. You can even visualize this if you connect the output of the analog summing mixer to an oscilloscope. Passive analog summing does not have any active electronic components on board. Example of these are the transistors, etc. that provide amplification and any other signal manipulation features. Most passive analog summing devices only consist of resistors. Example of this is the RMS216 Folcrom passive summing mixer. Active analog summing device has complex circuitry that provides additional amplification, signal conditioning features like EQ, panning, etc. 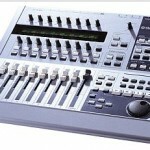 An analog mixing console is an example of an active analog summing device.